Earlier this year, Bitergia conducted a gender analysis to dig deeper into who was actually involved with the OpenStack community. The results were quite shocking, showing that only 11 percent of the entire OpenStack population identify as women. Team leaders across the industry took notice, with many asking how they could improve diversity not only within their communities but their hiring practices. In this episode of The New Stack Makers embedded below, we address the issue of how to build diverse communities within open source, how and why companies should focus on enacting hiring practices that are inclusive and welcoming of diverse candidates, and the ways in which the increased visibility on diversity in technology impacts marginalized individuals in the workplace. The New Stack founder Alex Williams sat down with DreamFactory developer relations manager Jessica Rose, Bitergia co-founder and chief data officer Daniel Izquierdo, and director of community development at Red Hat OpenShift, Diane Mueller to hear their thoughts during this year’s OSCON. “It’s usually well-intentioned, but it’s not the most supportive way to bring people in… Just to fill in a number,” said Mueller. 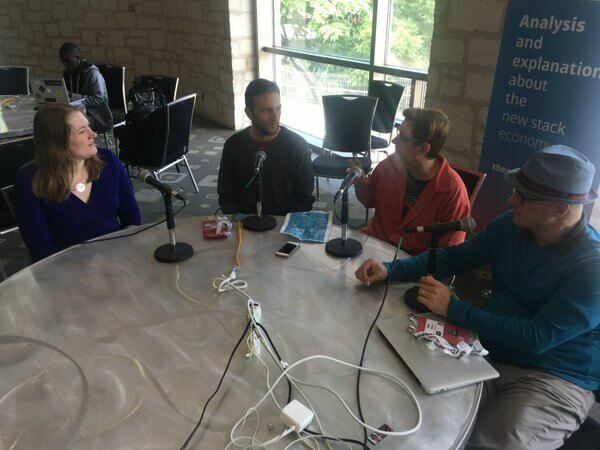 Feature image: Jessica Rose, Daniel Izquierdo, Diane Mueller, Alex Williams, at OSCON.